Another year, another flagship router! This time it’s the turn of the Linksys WRT1900AC AC1900 router. With looks that hark back to the days of the WRT54G, the WRT1900AC has an impressive 1.2GHz dual core CPU with four adjustable high-performance antennas along with a load of other features. One big feather in it’s cap is the option to use DD-WRT straight out of the box – one for the fan boys! Ok without further ado, let’s get the ball rolling! The WRT1900AC has under it’s hood a 1.2GHz dual core ARM CPU. This will keep even the heaviest network users happy. Stream your videos, play your games, transfer your files, download, all at the same time. With this beefy processor, you can rest assured the Linksys won’t be struggling due to lack of processing power. With simultaneous dual band at your disposal, you can run your devices on both 5GHz and 2.4GHz concurrently. This means you get the most out of your wireless network. Up to 1.3Gbps data rates are possible on the 5GHz range, and up to 600Mbps on 2.4GHz. It’s good to think about which band to use, and when. Try to keep gaming, HD video and voice traffic types on the 5GHz range and non-critical traffic, for instance, Internet browsing and email, on the 2.4GHz range. With 4 adjustable antennas, the Linksys WRT1900AC AC1900 can be manually tweaked so that you get the best wireless out of your surroundings. This is especially useful if you have multiple floor levels. You can adjust each antenna to direct it’s wireless beamwidth in the direction of your choosing for maximum effect. The WRT1900AC has DD-WRT firmware available. This Linux based firmware is useful should you want to fully customize your router to your exact requirements. For example, you can have more control over how your wireless transmits, full Quality of Service control and use SNMP to monitor your network. Why bother using a dedicated computer to share files, or manually transfer USB sticks between devices? Share your media from one location. Use either the superfast dedicated USB 3.0 port or the combined eSATA/USB 2.0 port to share your media via hard drive or USB. The Gigabit wireless or wired ports are more than capable of transferring the media you share. You can also use the USB 2.0 port to centralize printing with a USB printer. The Linksys WRT1900AC focuses wireless beamwidth in the direction of your wireless clients as and when they need it. Rather than sending out wireless beamwidth in all directions at all times, the WRT1900AC intelligently sends wireless beamwidth in specific directions when required. This improves speed, coverage and reliability. Monitor, control and prioritize your network from your PC, tablet or smartphone. With Smart Wi-Fi you have the power to adjust QoS settings, Parental Controls, and the ability to check the Internet utilization from anywhere. You can even change passwords for guests as and when you need to. Smart Wi-Fi is a feature also used with the Linksys EA6900 router. 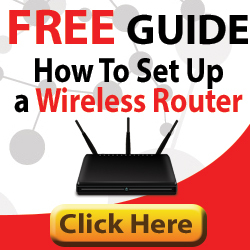 With WPS (Wi-Fi Protected Setup) adding new wireless clients is pure easy. Just push two buttons and you’re connected. The WRT1900AC also uses WPA2 wireless encryption and has an SPI firewall to keep hackers at bay. The WRT1900AC keeps cool with an quiet intelligent fan that enables itself only when necessary. With four Gigabit Ethernet ports, your wired devices also have the speed if required. Overall, if you can afford it the Linksys WRT1900AC AC1900 router is a great router and certainly up there with the best. This is FALSE. It is not DD-WRT ready. I have one and wanted to install DD-WRT and after searching and researching the web, this is the biggest complaint that DD-WRT will not work on it. A simple search in the DD-WRT website will reveal no DD-WRT firmware for this model. Main reason: The MANUF for the wireless drivers for the device will NOT release them to the developers of DD-WRT. DD-WRT support had been planned, but this has been delayed repeatedly. Hence the term ‘Ready’. Fingers crossed that support is going to come soon! This router is now supported by DD. It’s in the database.